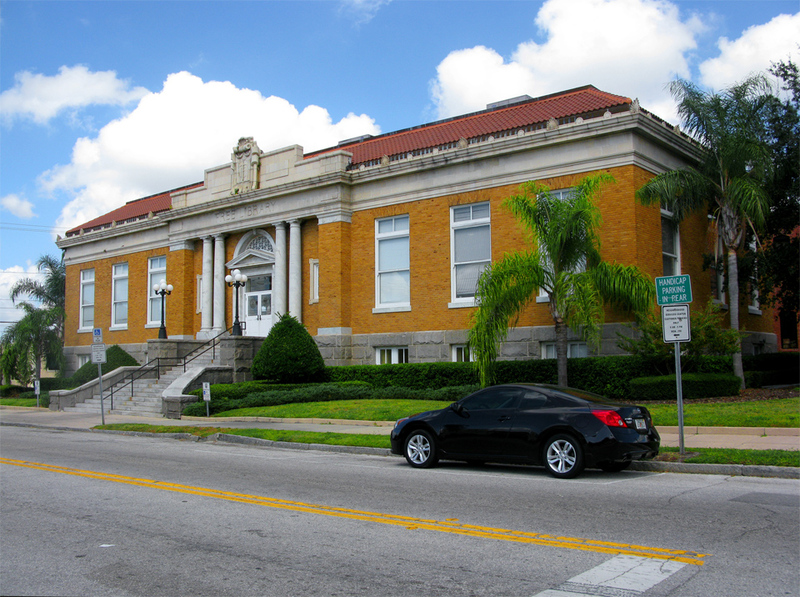 Andrew Carnegie invested over $200,000 in grants in the state of Florida for the creation of Free Public Libraries. However, before the libraries were built, Carnegie required that the local communities donate the land, commit to providing an annual operating fund of at least 10 percent of his initial grant, and that the complete works of Robert Burns as well as a bust of the poet be housed in each. Nationwide, over 200 communities turned down Carnegie library grant (mostly because of the required operating budget. However, perhaps they also didn’t like Burn’s poems). In Florida, eleven libraries were built, of which, only seven remain. 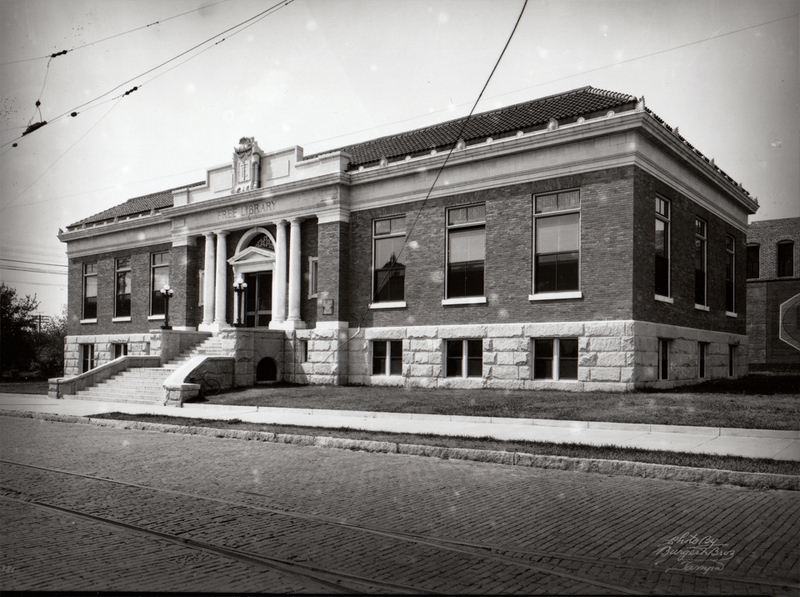 In 1910, Andrew Carnegie donated $50,000 dollars for the creation of this library on 7th Avenue. Unfortunately, the building is not currently being utilized as a library. However, in 1999 The City of Tampa rehabilitated the building as offices. Amazing that not much has changed, except for the mode of transportation! I believe this was used as the Learning Center when I was in elementary school.